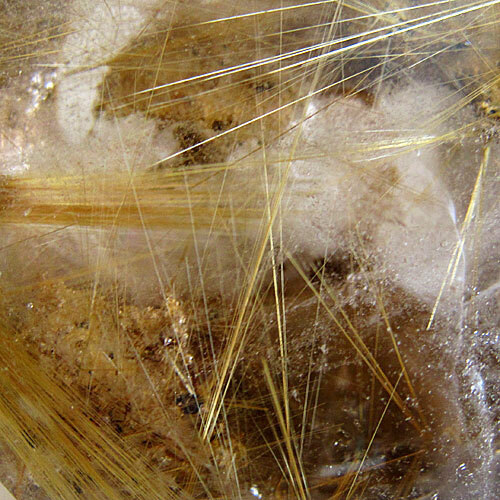 Rutile is a titanium ore. Rutilated quartz crystals are super conductors used in telecommunications and powerful amplifers of Universal Life Force Energy. Rutilated crystals help dissolve energy congestion found in the physical, etheric or astral bodies, repelling negativity and clearing unwanted interference. Rutile may assist in promoting and strengthening stability in relationships and marriage, and works to eliminate emotional and physical imbalances. Read more about Rutile in the Crystalpedia.